Three year after HINDRAF march, the things have not changed much. HINDRAF seems like lack of patriotism. While Malaysian Indians have their own nationality and Malaysia as their beloved nation, they decided to seek help from the Indian government itself urging the Indian government to provide places of study and scholarships to Malaysian Indian students. For me, this was an irrational act by HINDRAF which brought bad impression. Furthermore, it’s indirectly making other races question about our loyalty to the nation. Any problem we can settle it inside our nation. In fact, HINDRAF is making the situation much worst. It’s a fact that Malaysian Indians awakened from the HINDRAF factor because of its previous apolitical approach in fighting for the ethnic rights. But now since HINDRAF formed Human Rights Party, people feel betrayed by Uthayakumar. Many of Malaysian Indians trusted Uthaya’s leadership and HINDRAF leadership very much before he turned as a politician. Still some of the Malaysian Indians believe his ‘empty’ struggle which he has transferred the support from HINDRAF to his own political benefit. HINDRAF/HRP is now more to criticise both Barisan Nasional and Pakatan Rakyat. Instead of doing this, they should sit in the same table, work and discuss with both of the parties for ethnic Indians well beings. This clearly shows that HINDRAF/HRP is more to play politics, not for helping the Indians. Waythamoorthy, Uthayakumar, Kenghadaran, Manoharan, Ganapathirao and Vasantha Kumar are the HINDRAF top leaders who worked hard to form the organ and lead Malaysian ethnic Indians fought against federal government on 25 November 2007. But since Waythamoorthy ran away to London fearing that he could be arrested in Internal Security Act Malaysia, the rest five of them were arrested under the security act. During the detention, the truth revealed when Vasantha Kumar stated that Uthayakumar has misused the HINDRAF’s money, since then HINDRAF’s leadership broken into pieces. The leadership crises are worsening when Vasantha Kumar and Ganapathirao joined a hand forming another team. They also wanted Waythamoorthy to back to Malaysia to face whatever possiblities if he is a true fighter. After Vasantha Kumar during his ISA detention revealed the ugly truth about the misuse of fund by Uthayakumar, V Ganabatirau has accused the P Waythamoorthy of using millions of ringgit collected from the people for his personal use while in self-imposed exile in London several months ago. The millions of ringgit that collected from Malaysian Indians during the HINDRAF rally lost just like that, Uthayakumar and Waythamoorthy failed to tell the truth about the fund. In several other occasions, they refused to answer about this claim. When we talking about HINDRAF and Makkal Shakthi, it all belongs to the people. The people is HINDRAF, and the HINDARF is people. But the leaders 'hijacked' Indians for their own benefits and refuse to hear people's voice. Waythamoorthy and Uthayakumar might have planned to ‘collect’ more money by involving in politics. The problem to consider was peoples support, so the both used HINDRAF to form own political party. The shameful truth is hard to believe, but just look at their press statements nowadays, all focusing on attacking government and opposition, not fighting for the pledge of minority. Waythamoorthy appointed HINDRAF co-ordinator Thanenthiran is another traitor in fact. He ‘sold out’ Makkal Shakti to Najib by forming Makkal Shakthi Party which support the cruel government. The Malaysian Indians again betrayed by HINDRAF leaders. Most of us still thinking that why Jeyathas also in this list, but he is not that bad as you think. I pity of this man, who being loyal to Uthayakumar since long time ago. Uthayakumar is using this man for his purpose, hope Jayathas realise it when he is also highlighted in ‘traitors’ list. After few months promising that he will not organise any street protest, and now he is going to his old habit. He organised several protests to show his dissatisfactions. Such protests are nothing more than cheap publicities for his new race based party, Human Rights Party (HRP). Between that, I wish to know his ‘landmark plan’ that he said he has been created during his ISA detention. Is he cheating the Malaysian Indian again and again? Let wait and see. In reality, Human Rights Party and HINDRAF are racially dividing Malaysian Indians from the mainstream politics and organizations. Younger generation should reject such movements push for racial lines which will bring us backward in uniting with other ethnics in our nation.We ethnic Indians in Malaysia must put Malaysia’s interest first before our minority interest. MIC formed in 1946, next PPP formed in 1953 followed by IPF, MIUP, Mindraf and MMSP, and finally HINDRAF reemerge as HRP (Human Rights Party). So what's the different between MIC and HINDRAF/HRP now? All of them are in same group which we can call them as racist. Let’s work with other races in building a Malaysia for all Malaysians. 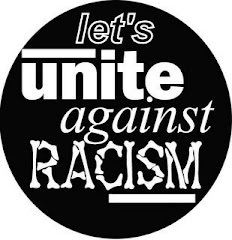 Let’s fight for the removal of racial politics, in fact all the minorities get benefit if racial politics removed and the poor citizen/minorities will get equal attentions from the government. 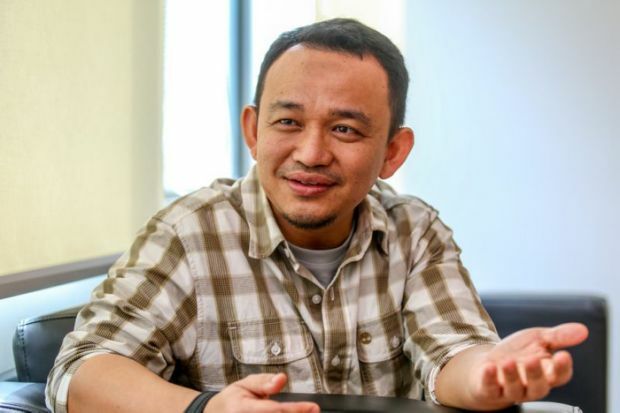 Do We Need to Spend More Than RM1 Million to Promote Our Tourism? 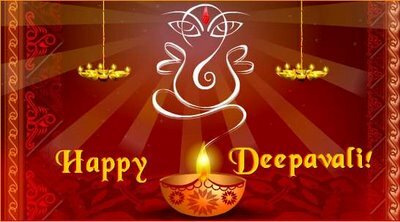 Happy Deepavali to All Malaysian Hindus! The poor performance of Malaysia is absolute evidence that federal government is not really opens for critics and face the upcoming challenges. 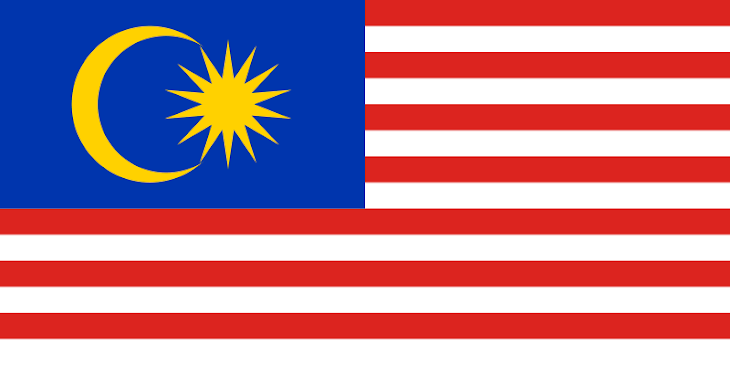 A report from Malaysiakini stated that the issues which have perhaps affected Malaysia's poor ranking include the Malaysian Communication and Multimedia Commission's investigation into Malaysiakini's cow-head video, the arrests of bloggers and the ban on a number of books by cartoonist Zunar. The 2010 Press Freedom Index also stated that Singapore (136) outranked Malaysia for the first time since Paris-based press watchdog group Reporters Without Borders (RSF) began releasing its ranking in 2002. Meanwhile, Finland, Iceland, Netherlands, Norway, Sweden and Switzerland share the No 1 spot. The United States remains at No 20, sitting at the bottom end of the ranking are North Korea (177) and Eritrea (178). Apart from North Korea, Asia's three communist regimes - China (171), Vietnam (165) and Laos (168) - are among the 15 lowest-ranked countries. This is the result of reality over the past half century. Our independence online portals and opposition publications like Malaysiakini, Malaysia Insider, Malaysia Today, DAP's Rocket, Pas's Harakah and Keadilan's publication become more popular among Malaysians due to the bias approach by BN-controlled mainstream print and broadcast media, like Star, NST, Utusan, Chinese and Tamil papers, TVs and radio stations. This is why Independence portals and opposition publication frequently face pressure from the government. Some would have compared Malaysia with Singapore and Brunei, but how things going on in their nation? They have a firm economy to rely on, quality education for their generations, solid performance in combating corruption and look at their marvellous security which guaranty a safe place for their citizen. Do the same thing happen is our nation? We are getting worst in every aspect, plunging terribly in Universities ranking, Press Freedom Index, corruptions, security, budget deficit, judiciary, sports and many more. Budget 2011: Do Malaysians Need Short-Term Popularity? Prime Minister Datuk Seri Najib Razak appeared to reach for the out-dated 100 story tower mega-project plan, do you think this is to lift the economy towards high-income status? His 2011 Budget confirmed the return of big Malaysia, with a row of announcements headlined in local dailies starting with the construction af a tower in the heart of Kuala Lumpur. The budget totally disappointing various stratum of Malaysians especially medium class and low class citizen like you and me, we are hoping for more fundamental reforms in terms of upgrading the nation’s productivity and economy. Among large construction projects that will kick off besides the infamous RM5 billion 100-storey Warisan Merdeka tower are the RM43 billion new KL MRT project, RM26 billion KL International Financial district, RM3 billion integrated eco-resort in Karambunai, Sabah, construction of multiple new highways, and the development of the 1,084-ha Malaysian Rubber Board land in Sungai Buloh. Under Tun Dr Mahathir Mohamad, the country also saw the construction of the iconic Petronas Twin Towers, which, when completed, was the tallest buildings in the world. But the 100 story Warisan Merdeka tower could not stand as tall as 162-story Burj Khalifa Tower in United Arab Emirates. So do we have any cause to proud of? Government must stop mega projects and start stressing on economic growth and should boost investor's confidence to spend in our nation. In fact, such project never improves our standard of living. According to the 2011 budget, a total of RM163 billion going to be spent for operational expenditure, so this means civil servants consuming almost 75% of the budget, I do not see how this Budget is rational with the prime minister’s intention to let the private sector lead the economy. This fact indirectly proves that our economy status will further plunge to the rubbish, Mega projects that draw popularity for Najib’s administration only heading for short-term interest. We are not dreamers! Our success is not mere coincidence but the result of clear and careful planning as well as firm implementation of the government. If our government failed to plan for us and definitely we are heading towards a failed nation. Of all the tall skyscrapers, and dreams, where are the implementation of education? Our government plan to remove PMR examination that will further affect our students. May be this is to cut the cost on the papers, who knows? In fact, its not right to waste taxpayer’s money on such project. Mega projects by PM Najib never going to create a high income economy. Is there an absolute need to have the 100 storey tower? Can he explain to the people why we build this tower? Is there a specific need? A wastage with 100 story building that cost RM5 billion, this amount of money can be better use in other sectors. “1 Malaysia" rhetoric spewing out his mouth frequently, but the people never experience the actual ‘transformation’ that he is meaning about! Definitely the poor Malaysians need long-term interest rather that short-term popularity in the 2011 budget! When oil and gas dried up in our land... Have you ever imagined?